Blues and Grassroots music from Australia. Chris is a gifted songwriter, understated singer and wicked multi-instrumentalist with catholic tastes and a penchant for inspired and creative collaborations. While her musical DNA contemplates sean nos, country, British balladry and folk-rock, Chris’s forte and primary passion is the blues, with a special nod toward pre-war pickers. On the 7th day God only rested so he could hear Chris sing the blues. Chris captures the cold hard nature of the blues, and delivers it in a velvet-wrapped package. There’s nothing moderate about this Mama! Chris O takes you back to where the Blues really began. 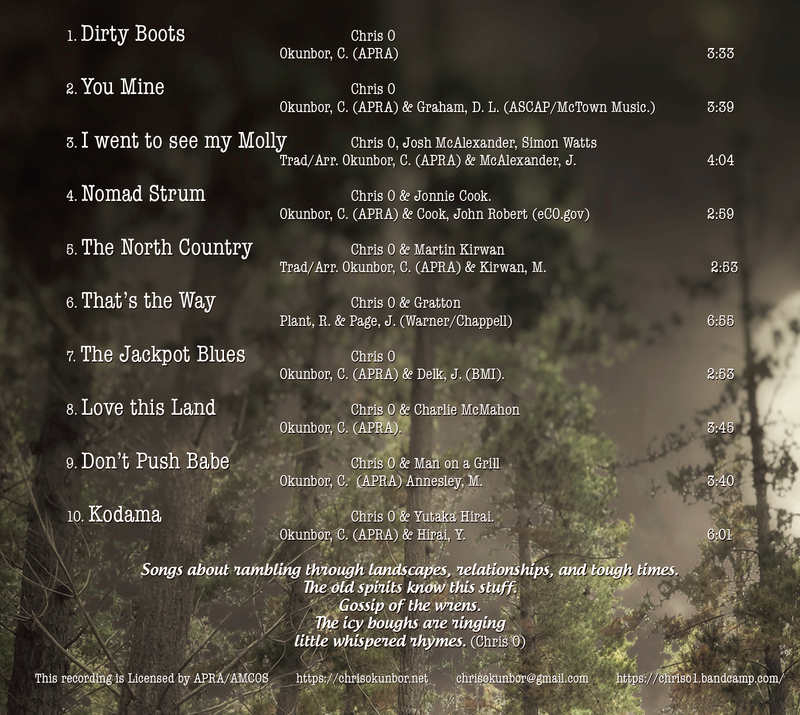 With a delivery somewhere between Sister Rosetta Tharpe and the aforementioned Memphis Minnie, Chris’s own songs stay firmly within the tradition that has so inspired her, with trains, work gangs and cotton fields the backdrop to the usual tribulations of life, from hard lovin’ to just making ends meet workin’ for the Man. You can hear the passion, the commitment, and that gives her own songs the necessary authenticity, a true master’s apprentice. A well-travelled and truly professional performer, Chris has an extensive repertoire of songs to make you laugh or cry, sing along with or tap your feet to, all sung with great empathy in her special style… a delicate player of the slide guitar, Dobro, banjo and ukulele, her voice meanders between roughness and tenderness and is weighted with feeling. 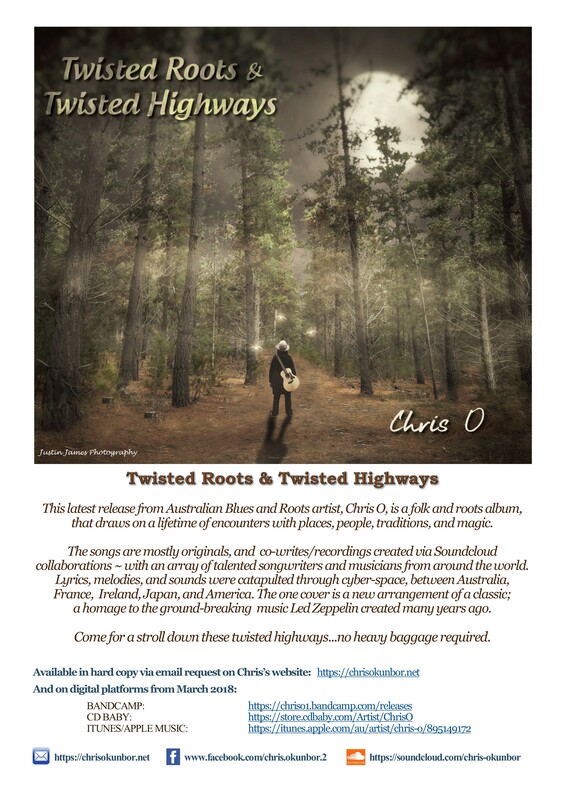 Blues and Roots Singer-Songwriter Chris O has a strong penchant for constructing music that draws the listener into her story telling, her music jumps out at you and forces your foot to tap or your head to bob. Her rhythm is undeniable, her soul shines, all this backed with a strong work ethic and a hectic gigging and recording schedule. Website designed by David Tobin.